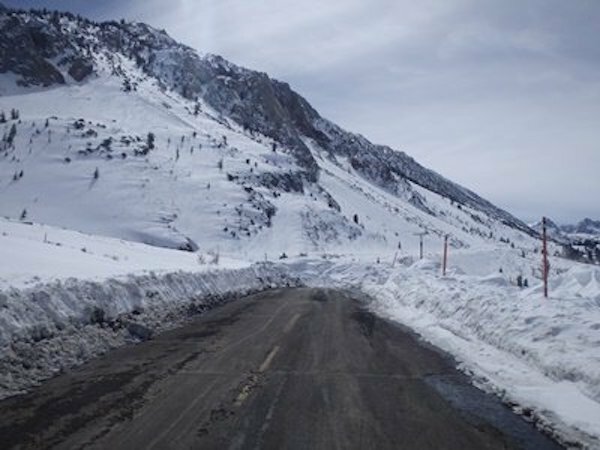 A huge thank you to CalTrans for getting the second lane plowed up to Camp Sabrina! 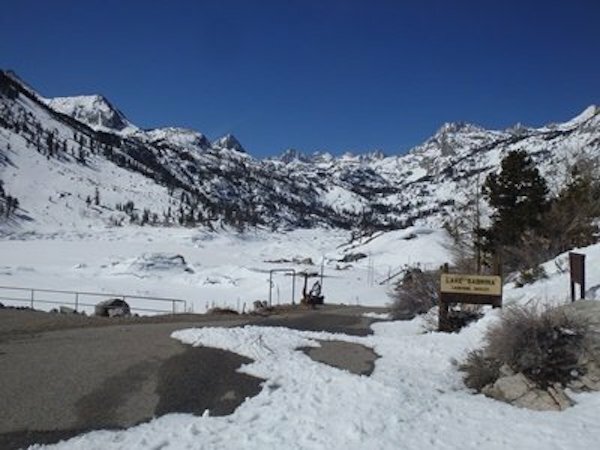 And another huge thank you to the Inyo County Road Crew for getting the road plowed the rest of the way up and both the lower and upper parking lots – sure do appreciate it – more than you will ever know!!! 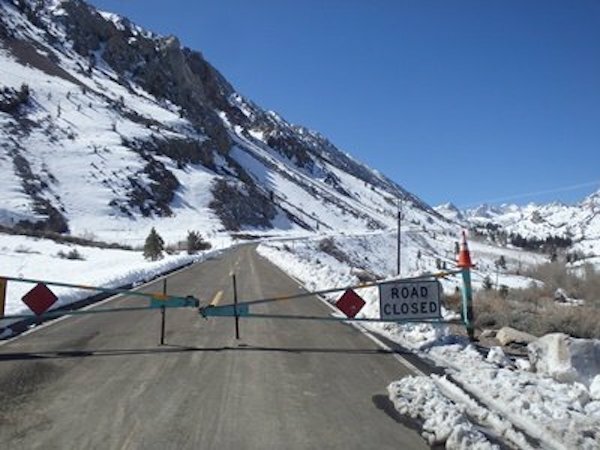 The road is still closed – if you do plan on hiking up the road – please stay out of the way of the heavy equipment – make sure they see you before you try and go around them! 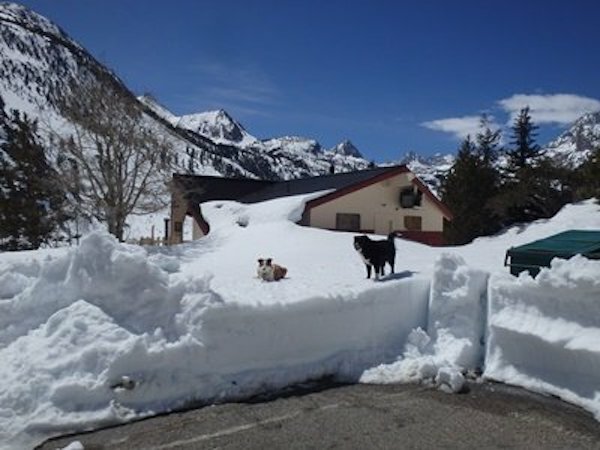 We were hoping to get the Café up and going for Opener, but with as much snow as we have, SCE deciding to do maintenance on the power lines next Tuesday (so no power to the building) and a few more days of snow over the weekend doesn’t seem likely. The building will be open and warm; we’ll have worms, tackle, cold drinks and a few snacks to sell, but NO hot beverages or food. 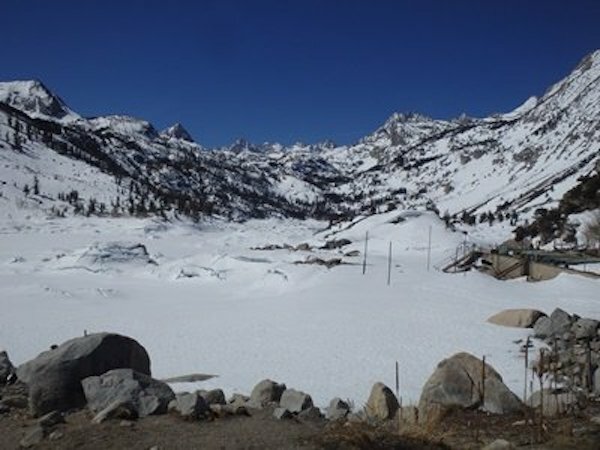 The Lake is low in anticipation of the run-off. We didn’t make it down to the Lake Sunday as we were trying to make it thru the snow into the building. Not really sure how thick the ice is on the Lake as it looks like there’s about a foot or two of snow on the ice. There’s another storm due in Monday and Tuesday with snow and wind – we’ll head back up on Wednesday and Rick will take a walk to see about how thick the ice is – so stay tuned! Sure am glad we bought a tractor last fall! 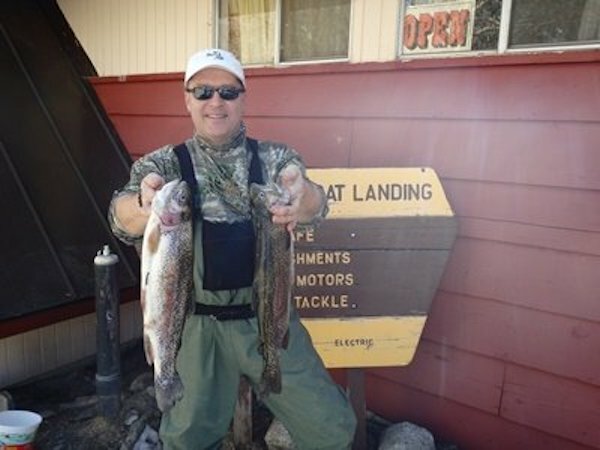 We’ve been asked if the Lake will be stocked for Opener – NOPE – no way for the stock truck to get down to the Lake and no open water to put the fish in!